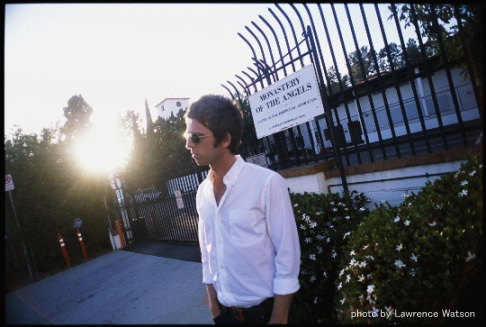 From "The offical Noel Gallagher website"
But last night, what can only be described as a little girl,kept shouting out rather odd "statements". She sounded EXACTLY like my eldest young son which, in itself,was quite off-putting. She said PICK… my guitar pick, you filthy swine…I gave it to her after the show anyway,just to be nice and that (the pick!!). All in all a good night. My new biggest fan, that little girl was there again.She had the same clothes on (stinky little fish!!). She reiterated that she is indeed quite fond of me while holding up a letter for me like a religious artifact…strange kid.